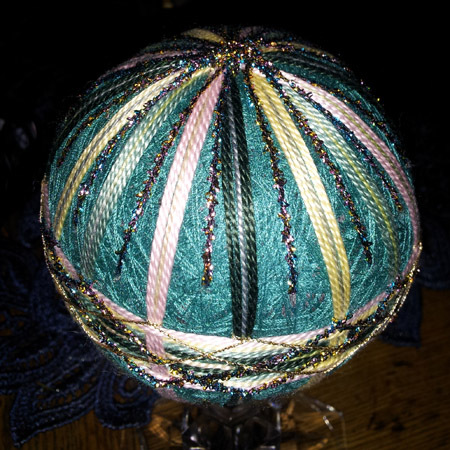 I was visiting my friend Gayle and found these beautifully decorated balls all around her home. 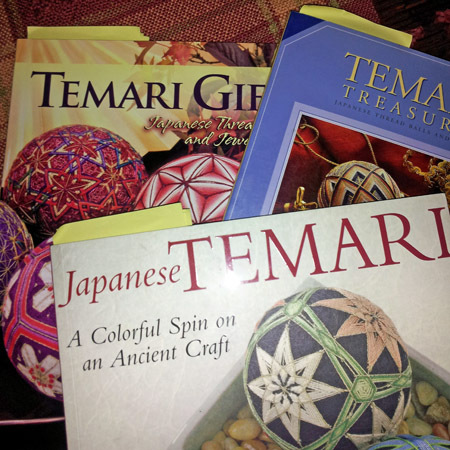 Of course I was amazed when she explained how they were created by an old Japanese art called Temari. 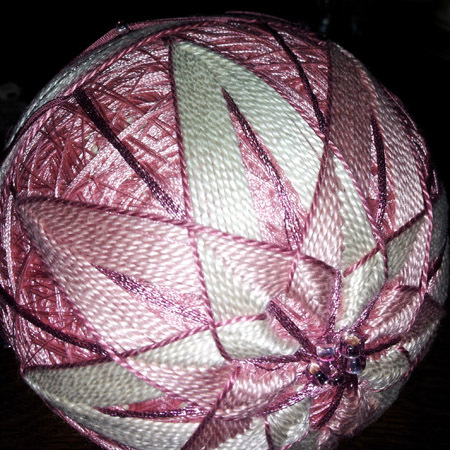 You start with Styrofoam balls add colorful threads and just follow the directions. 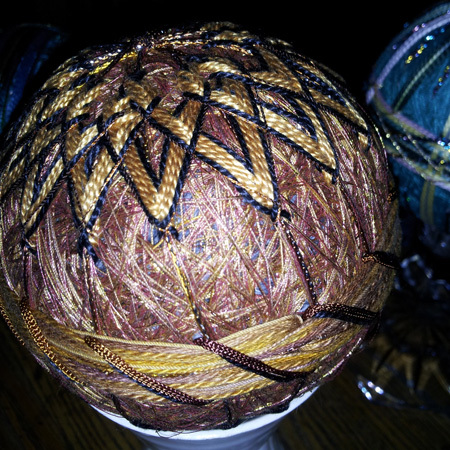 What a great way to use up all those threads we have laying around! 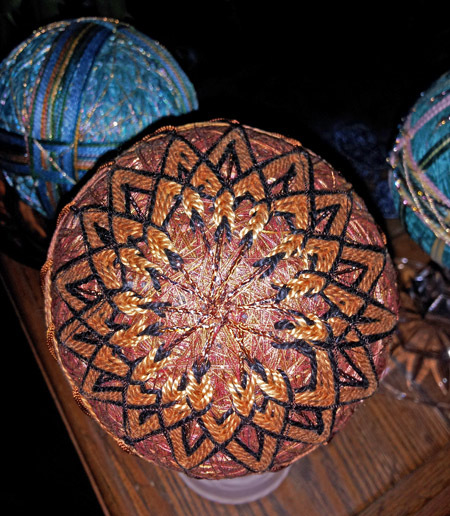 There are several books on the topic; if your local fabric or craft shop doesn’t carry them, they can order them for you. So go ahead …amaze yourself! Next Next post: Hung-Up on Hexagons!